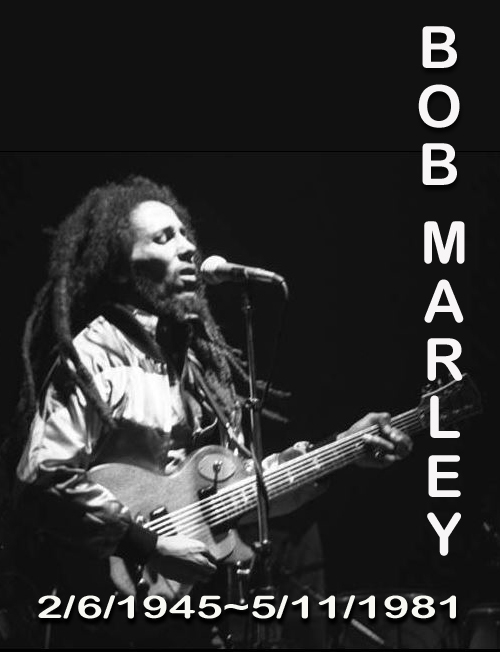 Reggae legend Bob Marley was born on this day in 1945 on a farm in Nine Mile, Jamaica owned by his grandfather on his mother's side of the family. A museum honoring Marley's life and music occupies some original buildings on the site now. They include the house with his bedroom. Also born on February 6th was William Bailey, aka Axl Rose of Guns N' Roses. .38 Special was out with their Tour De Force album on this date in 1984, and Dylan and the Dead, an album recorded during a 1987 stadium tour Bob did with the Grateful Dead, got its release on this day in 1989. Billy Idol broke a wrist and leg in a motorcycle crash in LA today in 1990. Mick Jagger appeared as Keith Richards in a skit on Saturday Night Live on this day in 1993. And former Thin Lizzy guitarist Gary Moore, who put out several fine solo albums following that group's end, died while vacationing in Spain on this day in 2011.